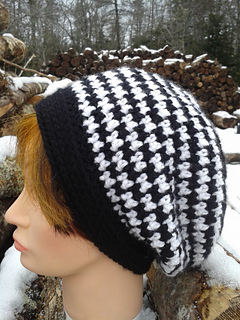 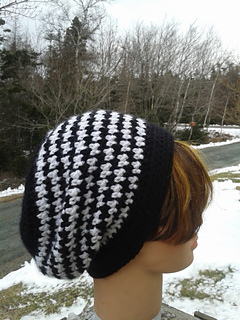 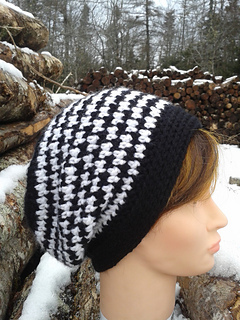 A modern and trendy slouch hat in the hounds tooth pattern. 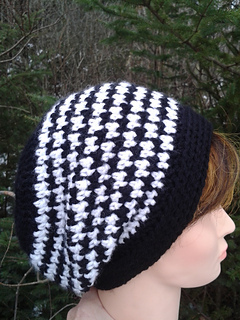 The pattern is written using row by row instructions with stitch counts noted at the end of each round. 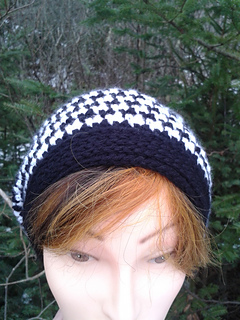 This pattern works up fast and is fun to make.